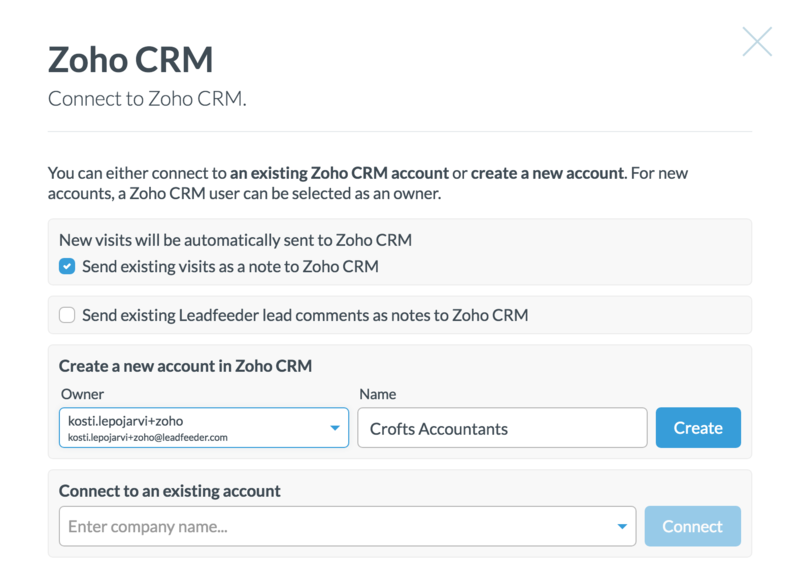 After you've successfully initiated your Zoho CRM connection, you can connect leads to existing Zoho CRM accounts, create new Zoho CRM accounts, and create tasks for Zoho CRM accounts – all inside Leadfeeder. STEP 1: When you spot a promising lead, start by clicking on the lead you want connect with Zoho. STEP 2: You can either connect the company as Account or Lead. STEP 3: You can either create a new Zoho CRM account, or connect to an existing one. After connecting a lead with Zoho, you will receive a new Note showing the account is created or connected. The Note will also have a link pointing to the Leadfeeder lead. The following picture shows how it looks in Zoho CRM. New visits from the lead will show up as notes in the connected Zoho CRM account. 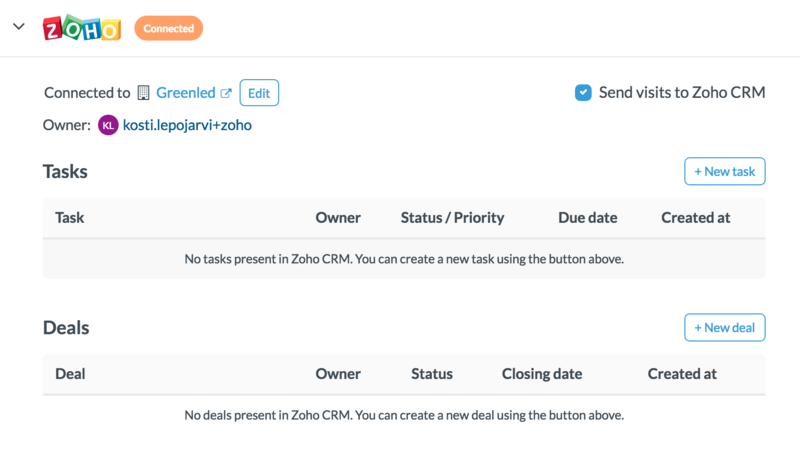 STEP 4: Once the lead is connected to a Zoho CRM account, you can create new Tasks or Deals in Leadfeeder.